Meet Mayra, one of the newest members of the CoEd team! 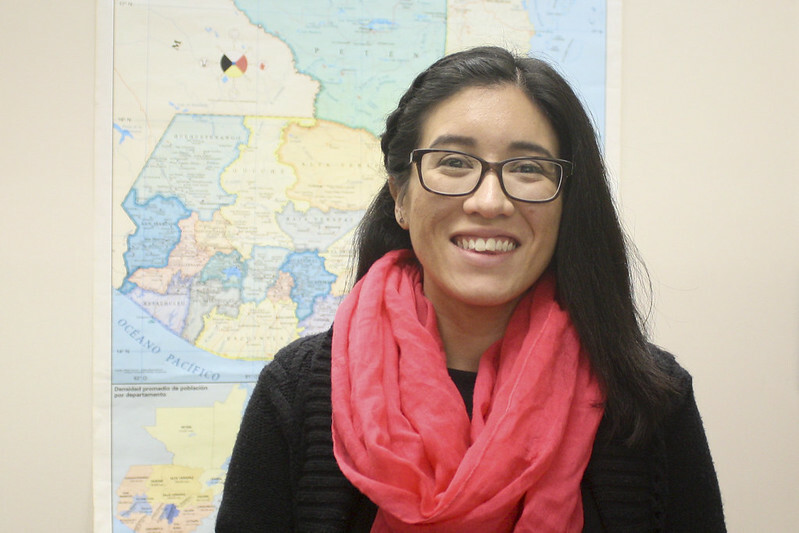 Mayra joined the U.S. fundraising team this summer and has already proven herself indispensable. She helps Rise sponsors keep in touch with their students, maintains CoEd’s database, and a whole lot more! My name is Mayra Sidler Guzman! I grew up in Guadalajara, Mexico and moved to Kentucky when I was 15 years old. In high school, I played on the tennis team, and then I continued my education at Northern Kentucky University. Now I live in Independence, Kentucky with my husband, Pablo. We don’t have any pets, but I can’t wait to get a dog! Why did you apply to work at CoEd? Because of the mission. I’m very passionate about education and guaranteeing equal access for all. I knew that I wanted to work for an organization trying to fix a root cause of poverty, and education is an important factor in that. CoEd was the only nonprofit in the Greater Cincinnati area that focused on education and a community I’m passionate about. I moved to the United States when I was a teenager. I had to overcome so many obstacles, like learning English. But, because of my education, I eventually became the commencement speaker at my university graduation. I want other students from diverse backgrounds to have the same access to education that I had. My major was sociology, and I minored in Spanish . Now, I’m about to graduate as a Master of Public Administration with a certification in nonprofit management. What is your role at CoEd? I am CoEd’s Rise Program Associate—my job is to support the Rise Program. I help Abby connect students with their sponsors, and I make sure that process continues to flow properly. My favorite part of my job is delivering messages to the sponsors about their students. I get to deliver happy news to sponsors and put smiles on their faces! I am passionate about education, especially equal access to education. In my free time, I serve on a board for the Latino Leadership and College Experience Camp, which focuses on providing opportunities for Latino students to access college in Kentucky. What else do you like to do in your free time? I love to travel, and I love hiking. I really like to eat—my favorite food is Mexican food. My favorite restaurant is Pho Lang Thang in Cincinnati—I spent way too much money there last year! What’s something unique about working for CoEd? So many things…one is that we all celebrate each other! We celebrate each other’s strengths even if that strength is different or even a little weird. We still celebrate it and push each other to be better. I really like that positive environment. Make Mayra feel welcome in the comments below!